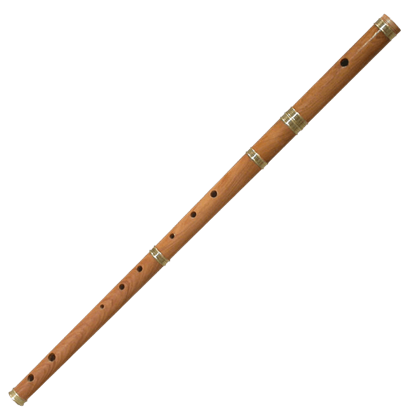 The flute has a very recognizable and distinct sound that usually reminds you of old world music. 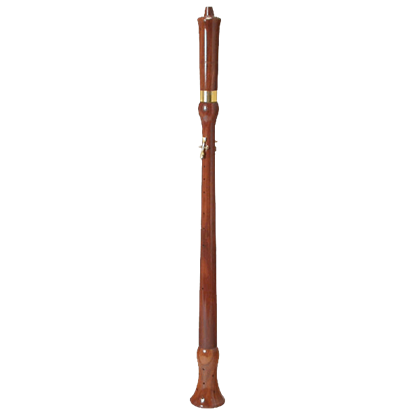 Our flutes are perfect for creating historical music, whether you are in a group or perform alone. We have quite a few different styles, including bamboo flutes, Irish flutes and medieval pipes similar to the modern day recorder. These flutes will add a lovely sound to your music. This straight bamboo cane pipe flute in the note C has 7 front holes. Played while held horizontally, one blows into the first hole, while playing on the other 6. These are simple cane flutes and are approximately 13.5 inches long. This straight bamboo cane pipe flute in the note EE has 7 front holes. Played while held horizontally, one blows into the first hole, while playing on the other 6. These simple cane flutes are approximately 21 inches long. This straight bamboo cane pipe flute in the note G has 7 front holes. Played while held horizontally, one blows into the first hole, while playing on the other 6. These are simple cane flutes and are approximately 17 inches long. 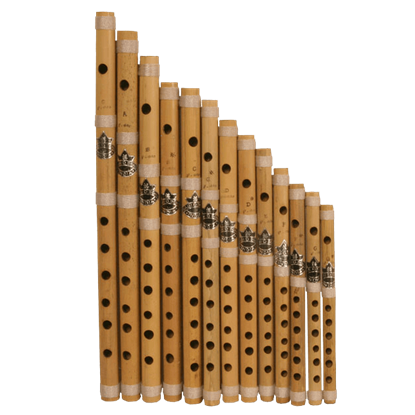 This is a complete set of 13 six-hole, cross-blown bamboo flutes of Middle High Pitch. Manufactured by the Nabi and Sons International Flute Manufacturer of India, these are great quality flutes. This Cocus Wood Irish Flute is tunable in the note DD. A case is included. Bamboo Flutes are perfect for creating Early Music for fun, teaching music to others, or performing. 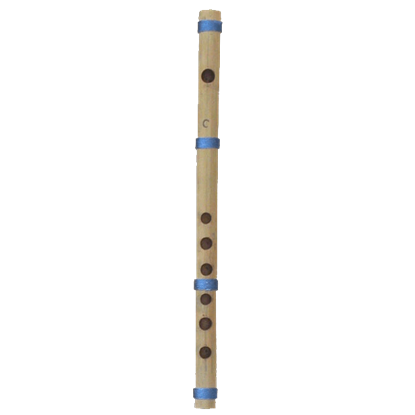 This Cocus Wood Irish Flute with Key is tunable in the note DD. The key allows the most distal note to be played and will raise the three highest notes from a natural note to the sharp. A case is included. The Medieval Musical Pipe is a solid rosewood pipe that is carved in three sections and features brass trim and key. It has 8 finger holes. 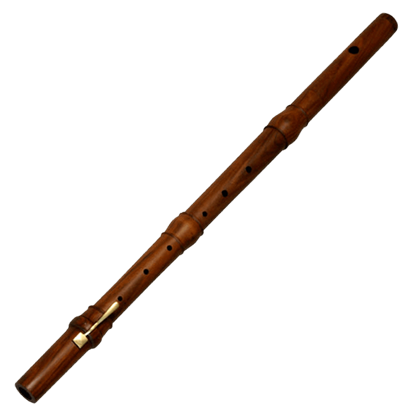 The required breath pressure is very strong compared to the flute and the recorder. This Rosewood Irish Flute is tunable in the note DD. A case is included. Flutes are perfect for creating Early Music for fun, teaching music to others, or performing. The Rosewood Irish Flute with Key is tunable in the note DD. The key allows the most distal note to be played and will raise the three highest notes - lower holes - from a natural note to the sharp. A case is included.